The Tripp Trapp is available in a variety of colours and we opted for the Storm Grey to match our current dining table. It arrived in a very compact box and I wondered how long it would take me to assemble and if it would live up to all of the wonderful positive comments I had heard about it. Within 15 minutes, I had assembled it fully. Everything is provided in the box and it is really simple to build, even by my standards. 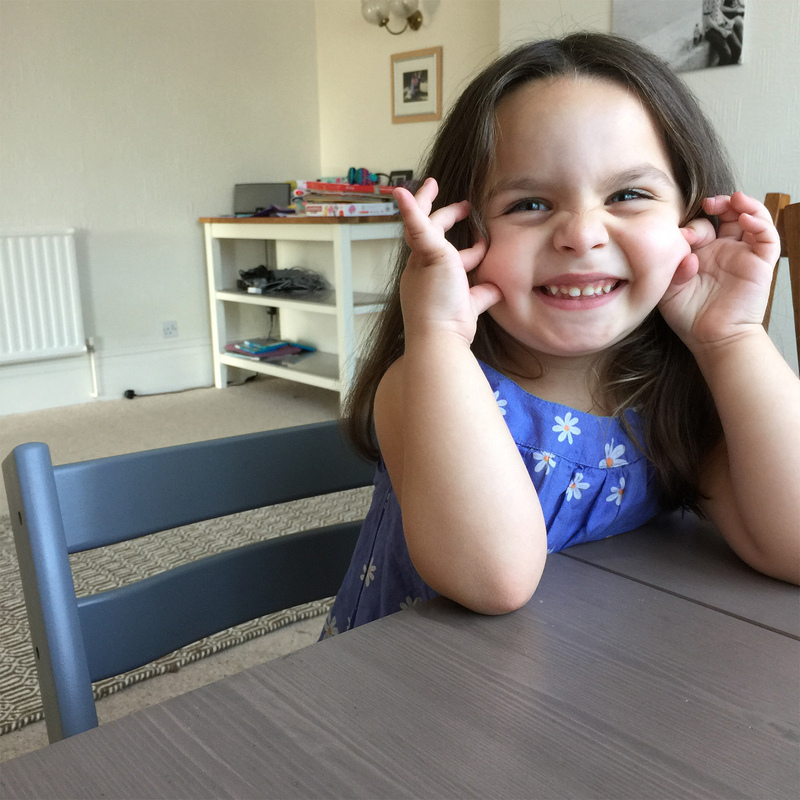 I measured my daughters height up against the table and slotted the seating panels in accordingly. 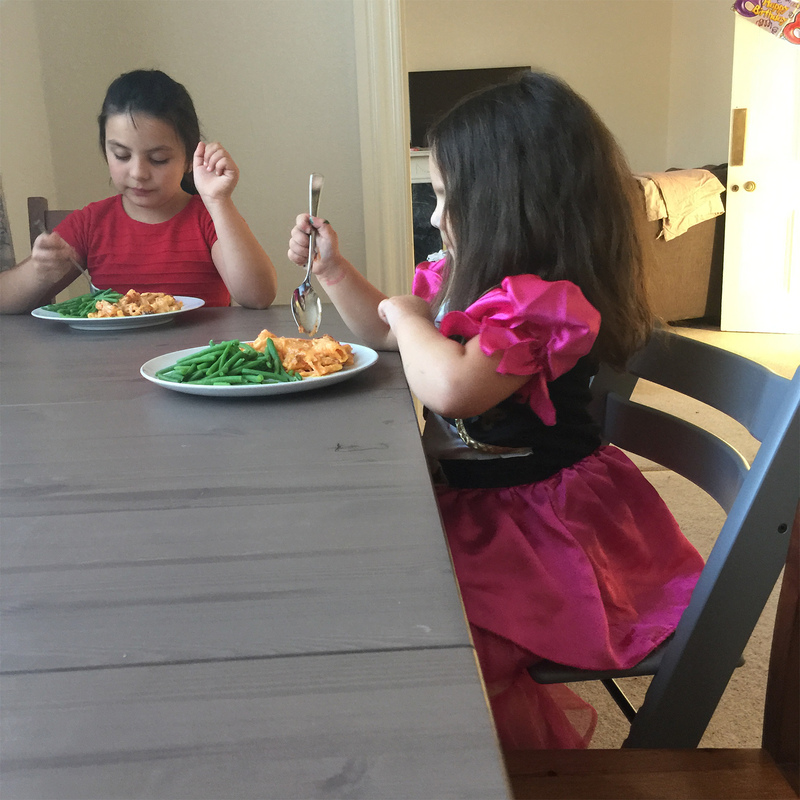 We have found over the years that at a certain point our children either outgrew their highchairs or wanted to sit at the table but were too small to reach the height of the table. 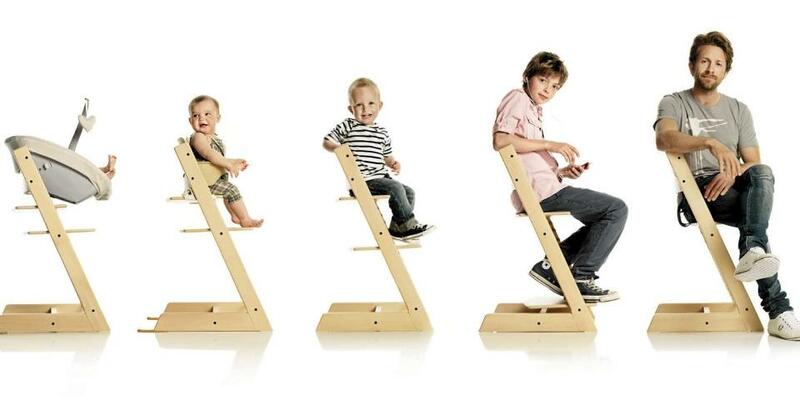 The Tripp Trapp is very cleverly designed at it solves all of these problems by adapting to the needs of your child . 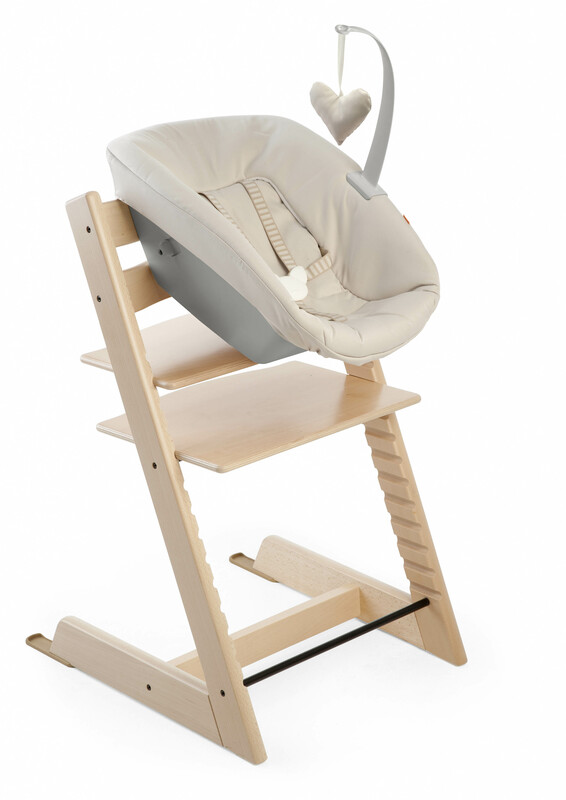 You can buy the newborn seat which allows you to use it from birth and simply change the elements as they grow. 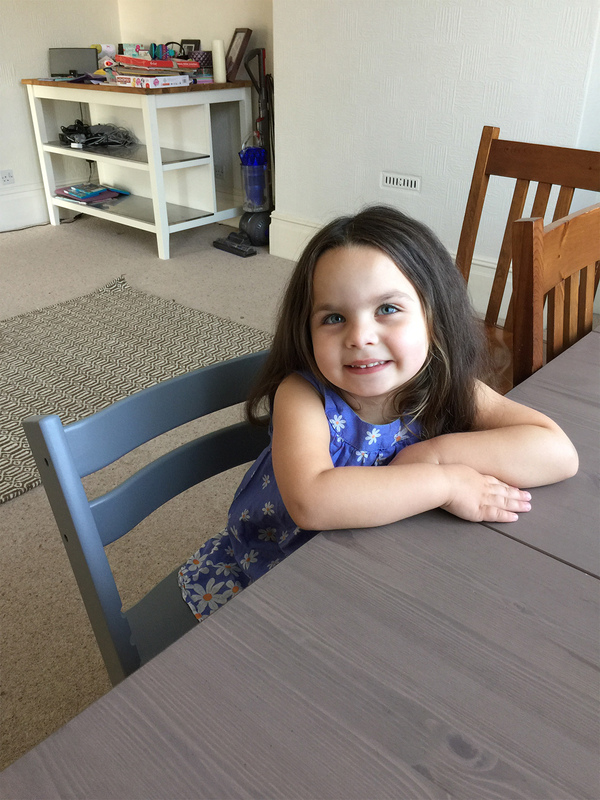 Eva was very keen to try out ‘her’ new chair and when we asked her if she was comfortable, she said, ‘ Very comfortable and very happy in my new chair’. After dinner, I simply wiped the Tripp Trapp down with a cloth and it really was as simple as that. It is now tucked in neatly alongside our dining chairs ready for breakfast tomorrow morning. We have been using the Tripp Trapp for the past week now and it has been used by each member of the family. I often find myself sitting on it and I have to say that I amazed at how comfortable it is. Eva has been sitting at it to eat and draw which is great. It is easy for her to get on and off by herself as it is the perfect height and as there are no sharp edges, I am not worried about her hurting herself on anything. We were going to buy some other dining chairs for our living room but have since changed our minds. Now we are going to buy another two Tripp Trapps. The comfortable upholstery can be removed and machine washed which is ideal if you are using it for a baby. It comes with an all important 5 point harness and is incredibly easy to remove. The fabric comes off with ease and is machine washable which means you don’t have to worry about keeping it clean. A little one will love to be at the same height as the rest of the family during meal times.